Fat burning from home can be as simple as watching what you eat before the day kicks off. Consider the amount of calories that you have for breakfast to start the day and ask yourself if that is necessary. Building an Intermittent fasting workout plan is something that should be seriously considered if you want to burn excess fat easily. By implementing some sort of eating plan into your daily routine you can seriously lose weight without the need to change your eating habits. My weight has stayed around the 80kgs mark for the last 10 years simply by sticking to a few simple rules. It can be a simple way of controlling your weight and body fat. There are many people out there who cannot think of doing a workout without first having a meal before starting. It would not seem right. 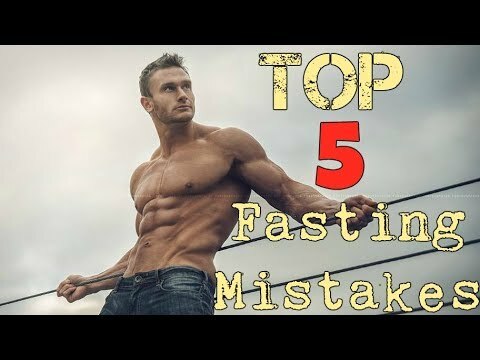 For others, it would be impossible to do any sort of cardio workout in the morning before having a meal as they are prone to collapse if they have not had food before training. Others think that their performance will suffer if they do not eat enough food. Won’t my muscles shrink? Won’t my body think I’m in the middle of some horrible famine and go into starvation mode? Yet to many athletes out there, fasted workouts are the sacred tools that are the perfect antidote. When I train in a fasted state I feel some sort of satisfaction that my body can function at a very high rate for around two hours without the need for food beforehand, and that the fat cells that I have are shrinking as I train. Implementing this diet is pretty simple, you just don’t eat when you wake up. Then you eat and lunch and go about your day. At least, that’s how I do it. This can also be used as part of your natural daily routine without the exercise. I have used this plan for as long as I can remember in the last 10 years, and I break the rules when I am on holidays or staying in hotels where breakfast is included in the price. Are Fasted Workouts Good or Bad for Muscle Gain? From what I can tell fasted workouts are great for maintaining a healthy balance and control of your weight. They also help to keep fat content low and give you that sharp appearance that many try and obtain when they go to the gym. By that I mean when you look in the mirror as you train you can physically see your veins sticking out on your arms, which is what most men are trying to achieve. When you train the muscles on a regular routine they will grow and burn excess fat at the same time. Your muscles will grow due to the weights you have just completed and the muscle fiber is broken down, and the body will burn fat for a considerable time after you have finished training. Yes is the answer from what I have seen in my training. I do not have to take in a large number of calories during the day to gain muscle and do not need to do excessive amounts of cardio training to burn fat. The exercise and fasted training work together and combine well for me. From what I can tell by not consuming any calories before training my body turns to the fat cells first to burn fat needed to fill the gap of no food. I find this a very satisfactory way of training and it has worked well for me. I start to feel the hunger pang when I am training if I have been on the bike for around two hours. With this, I tend to try and stay in the fat burning zone so that I get the benefit of actually burning fat and not going too far into the cardio workout for the body. I like a bike ride on an empty stomach. I can go for around two hours without the need to eat and still feel like I could go longer. Add this to the fact that I may have had my last meal around 7 pm the evening before and this can be a very effective way of shedding excess fat cells. Do make sure you consult your doctor before thinking about training on an empty stomach. It does not benefit everyone and you are better to seek medical advise before you start this type of training plan. Fasted training improves several physiological markers that are especially relevant to people with type 2 diabetes. For one, it improves insulin sensitivity. The basic definition of type 2 diabetes is “extreme insulin resistance”; fasted workouts counter that insulin resistance. It also improves fat burning, another deficiency common in type 2 diabetes. High levels of insulin shift metabolism to utilize carbohydrates as the fuel of choice. Thus, it is very difficult to oxidize fat. After an overnight fast, the body will have used up much of its liver and muscle glycogen, which should allow the body to turn to fat as the most available energy source. Carbohydrates consumed at rest or prior to exercise will dramatically reduce fat burning. As they are more easily accessible they take priority over fat and the body will burn the carbs first before it even looks at the fat within your body. Want to start, but concerned about muscle loss? One way to combat this is to take a scoop of whey protein pre-workout. Would this still be considered as fasting? Tomato, To-mah-to. It’s not a real meal. When I work out in a fasted state, I swear by a half scoop of whey for this reason, and I like to think I’m doing pretty ok.